This one is out of print. 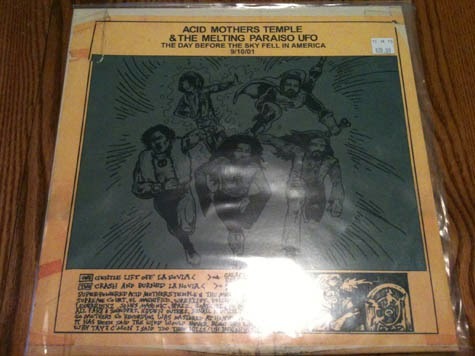 I'd been eying up the CD version of Acid Mothers' The Day Before the Sky Fell in America — 9/10/01 for some time, but just never pulled the trigger for one reason or another, usually because there was something else I was more desperate to grab or because the sticker price was just a bit too high. The LP was sitting in the JUST ADDED bins at The Vinyl Closet and, seconds after walking through the door, I picked it up. Being that it was the only album I purchased that day, I was done my record shopping after being in the store for less than a minute. 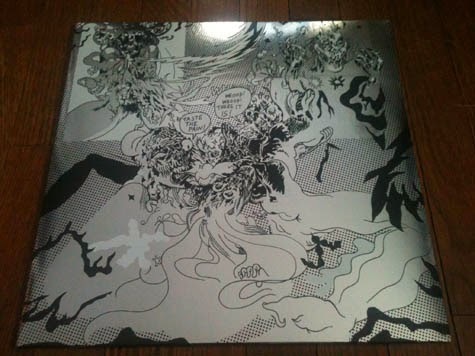 The album itself is a live recording of an in-store performance the members of Acid Mothers Temple & The Melting Paraiso UFO had done the day before 9/11. It's highly meditative and lengthy, spacy in the vein of Hawkwind, psychedelically swaying like LSD-soaked hippes at a Doors show, but also prone to choppy riff-sections, heavy bass lines and expected burst of chaos that must've been entrancing to view live. It's a great listen, interestingly tainted, though, by the dread the nation had experienced soon after. Two tracks; two sides. White label. I'm still trying to find some information on these new Sun Ra reissues from the El Saturn Records label (their site is still under construction and info is scant at best). 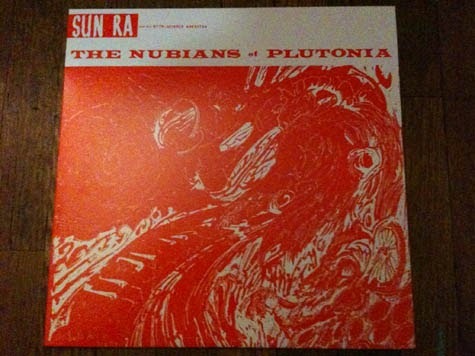 Following the Evidence CD reissues that were produced in 1993, The Nubians of Plutonia (along with other El Saturn released Sun Ra albums) were, according to Discogs, reissued in 2002. This version that I found is very new and really well-priced at 12.99. Siren had at least six or seven more of these that I'm going to try and pick up as soon as I can. I did find this video from a Sun Ra enthusiast and music blogger named Rodger Coleman. He talks about Sun Ra's reissue history and seems to have EVERYTHING the man has ever released in many of its various iterations. I'll admit I was unaware of the two prior volumes of Thee Oh Sees' singles collection series, so I will be on the lookout for those. Vol. 3, though, is a great listen from one of my new favorite bands, and it covers rarities and oddities from 2011-2013. Realizing that I've come into Thee Oh Sees a tad late, I will say that my first exposure to John Dwyer was via the OCS releases 3 & 4, also known as Songs About Death and Dying and Get, Stoved. I found it in a bargain bin at Main Street Music a number of years ago, the store I used to frequent when I worked in the Manayunk section of Philadelphia. Not sure if that gives me any real credibility, but I'll give it a shot.